While this story isn’t what you’d call recent, it was so touching that we couldn’t ignore it. It’s also very sad, so consider yourself warned. But while it’s a sad story about a little girl’s fight with brain cancer, it’s a great story about how a bunch of Star Wars fans (some in very high places) made that little girl happy while she didn’t feel very well. It’s also an origin story, and we love those. Ladies and gentlemen, allow us to introduce you to Katie Johnson and the droid whose creation she inspired: R2-KT. So, the elder Johnson, who happens to be the founder of the 501st Legion, the world’s biggest official organization for Stormtrooper cosplayers that does charity work around the globe, got in touch with the R2 Builders Club to see about building Katie her very own droid. 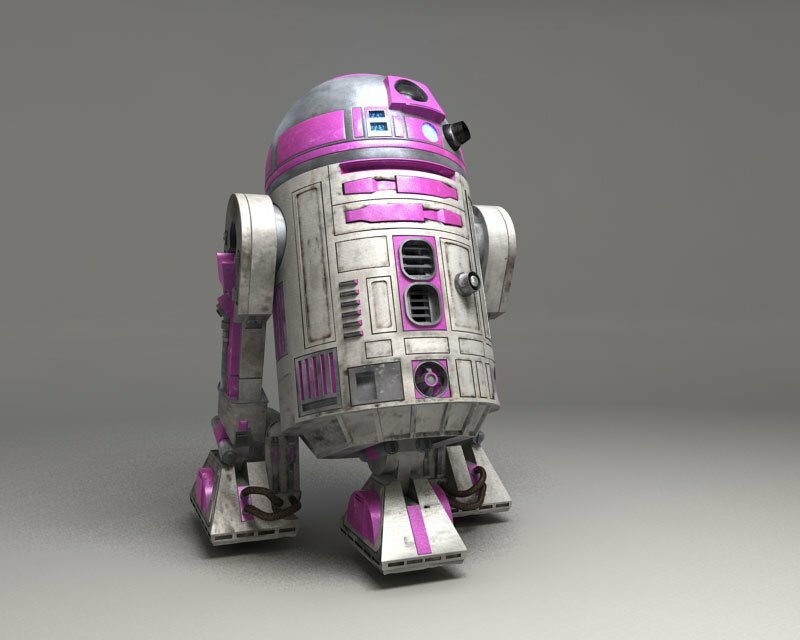 Albin and his older daughter, Allie, aimed to make it pink and name it after Katie (hence R2-KT). However, the reality was that Katie wasn’t doing very well and time was running out. 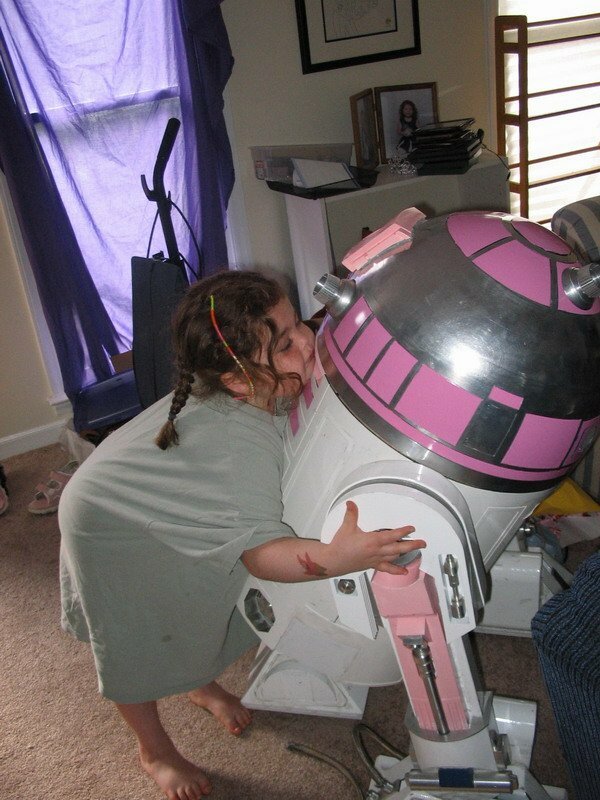 But the builders rallied and got R2-KT built and delivered a preliminary — but life-sized — model to the little girl’s house. Sadly, Katie passed away in her sleep the following August. But she got to hang out with her faithful droid for a little while before having to leave it behind. R2-KT was officially completed on July 8, 2006, just over a year after the start date. Now, R2-KT visits conventions, children’s hospitals, and charity events all over the place. To find out more about R2-KT’s ongoing adventures (and their current St. Patrick’s Day promotion), visit their official site.